A new court ruling means a water agency in Ventura County will have to do more to help endangered steelhead. A coalition of environmental groups had sued the United Water Conservation District, charging that the Vern Freeman Dam on the Santa Clara River restricts steelhead movement between the ocean, and their habitat. A judge agreed, saying the district could be doing more, and that the lack of action violated the federal Endangered Species Act. The ruling requires United to increase the water supply to help the fish swim the nearly 11 miles stretch of river to the ocean. It also calls for construction of a better bypass system than the existing fish ladder to enable the steelhead to get around the dam. United Water supplies water to the cities of Ventura, Oxnard, Port Hueneme, Fillmore, Santa Paula, as well as to agricultural water users in the region. It’s charged with trying to balance the water needs of the public with water needs for conservation. 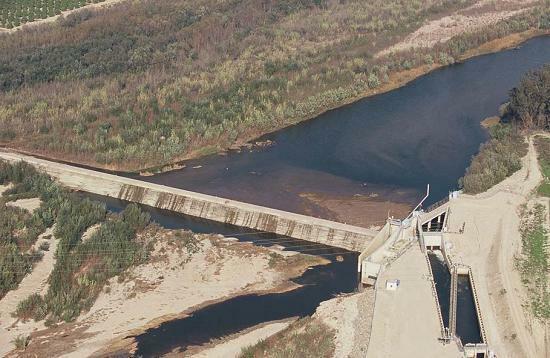 A coalition of environmental groups on the Central and South Coasts have filed a lawsuit against a water district, saying a dam it operates isn’t releasing enough water to help endangered steelhead. The lawsuit was filed by San Luis Obispo Coastkeeper and Los Padres ForestWatch against the Santa Maria Water Conservation District. The suit seeks an increase in water releases from Twitchell Dam, which is on the Cuyama River, which feeds into the Santa Maria River.